للمسافرين الذين يرغبون أن يعيشو كل ما تقدمه كوفس هاربر, Aqua Villa Resort هو الخيار الأمثل. يمكن من هنا للضيوف الاستمتاع بسهولة الوصول إلى كل ما تقدمه هذه المدينة النابضة بالحياة. كما يمكن الوصول بسهولة إلى Wicked Berries, ‪Coffs Creek Walk and Cycleway‬, Park Beach Plaza. إن الخدمات التي يقدمها Aqua Villa Resort تضمن للنزلاء إقامة مريحة. لضمان راحة ضيوفه، يقدم الفندق الخدمات التالية: واي فاي مجاني في جميع الغرف, خدمة حجز التذاكر, مجهز لذوي الإحتياجات الخاصة, مرافق مخصصة لذوي الاحتياجات الخاصة, تسجيل وصول/خروج سريع . تنعكس أجواء Aqua Villa Resort في غرف الضيوف.تلفزيون بشاشة مسطحة, غرف لغير المدخنين, مكيف هواء, تدفئة, تليفون هي بعض الميزات الموجود في العديد من الغرف. صممت خدمات الاستجمام في الفندق والتي تتضمن مسار جولف - ضمن 3 كم, حمام سباحة خارجي, مسبح (للأطفال), بلياردو, كرة الطاولة لمساعدتك على الاسترخاء والراحة. يشكل Aqua Villa Resort بخدماته الراقية وموقعه الممتاز، قاعدة مثالية للاستمتاع بإقامتك في كوفس هاربر. Quite noisy if near pool/bbq area of you want an early night. Needed window locks, fridge needed new seals, security door screens wouldn't lock with the door closed, door into laundry's latch was stuck, dining chairs were flimsy and uncomfortable. Wouldn't stay there again. After arriving at midday and rudely being told to come back at 2pm, the stay was nice. Only hotel I know though that has a 9.30am checkout time, so don't expect a sleep in on the last day. Besides the above, the place is great, location good and room and facilities very clean and well maintained. recommended. 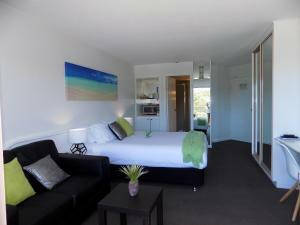 The hosts were very accommodating for our late arrival and the room had everything we needed for a short stay. 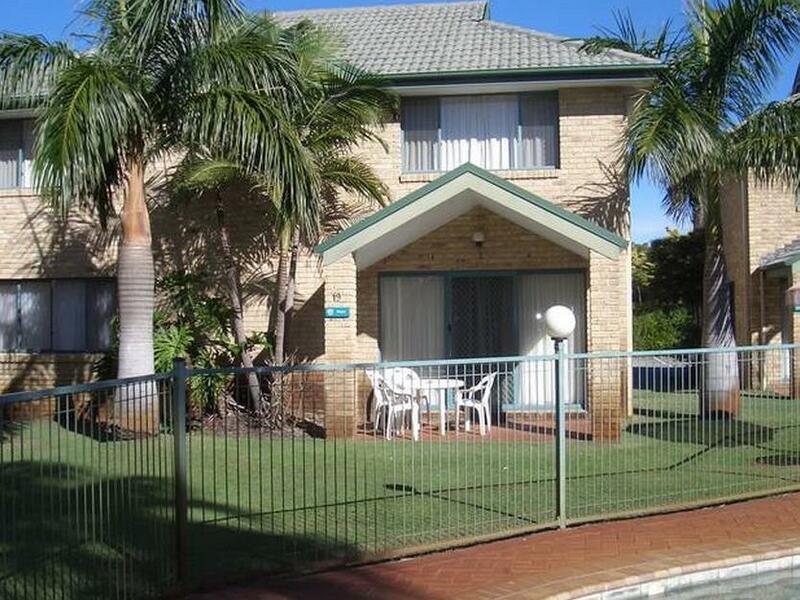 really well maintained, nicely set out and fantastic location. highly recommended! Great place to stay with a family, nice gardens and pool area. Clean and well set out rooms. Will be booking again for sure. Great friendly staff. Location was excellent. Close to shops. Walking distance. Great size rooms. Very clean. Our stay at Aqua Villa Resort felt like we were being ripped off.The neighbours were very noisy and obnoxious and the name was misleading.on top of all of this, the price was very expensive for the accomodation.However the resort was relatively clean and the location was close to the beach. Staff management are professional and friendly. Great value for money,studio features are family based. Relaxing garden aspect. Next to a shopping mall. Nearby the hotel, there are various restaurant. The stay was comfortable. Guests can shop happily at the mall next door. The reception is open till 8. The bedroom is located on the 1st floor and the kitchen and living room is on 2nd floor. 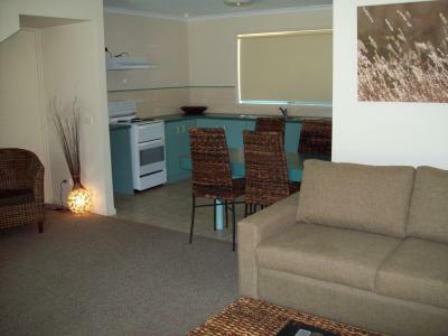 Well equipped apartment with washing machine, dryer and dish washer. This is a self catering establishment so a food rating is a non event. Being double charged (since refunded) soured the experience. Clean, the pool, the games room. Great !! We had no issues at all with the motel or staff. Pleasant but disappointing. Old facilities, poor building repairs/renovations eg fan hit wardrobe door when open. WHS issues eg clothes line timber support at head height and sticking out over walkway. Lovely and helpful person ran the place. 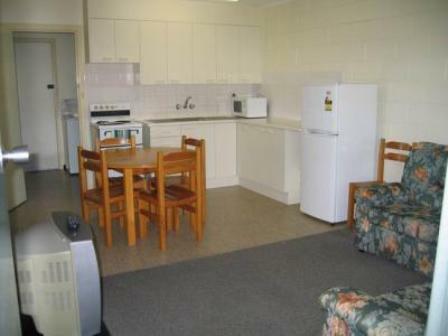 Would be great for a family stay as cooking facilities and safely away from main road. Not close to the beach- drive to get there. 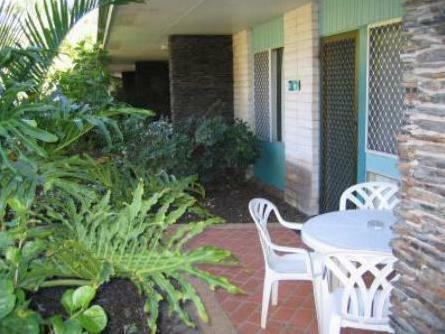 a pleasant hotel stay with comfortable rooms and ceiling fans, flat screen tv, and swimming pool. the gardens are well laid out and create a nice atmosphere. the staff were friendly and welcoming, and the coffs harbour attractions such as dolphin marine park are close by, as well as the shops and beach area. the only draw back for me was that the kids room was small and the pedestal fan was useless. it no good if you are staying in the summer. the hotel should seriously consider providing an a/c in all units. clean rooms. Hard to speak to hotel staff to ask for thinghs, hardly open at front desk. Maybe cause of Easter Weekend. Foldout bed provided for shild was broken and could not sleep on so told us to sleep on mattress on the floor.